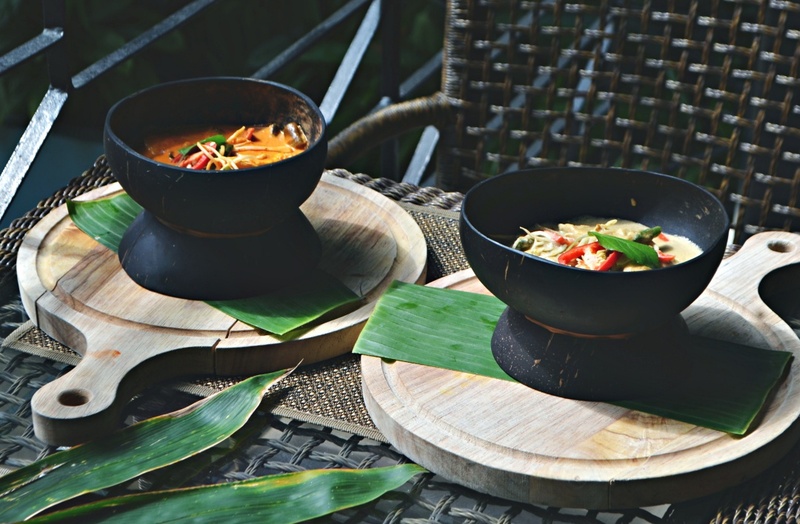 You will get to witness live cooking stations where you can ask the Garden Cafe’s chefs to prepare something you want to eat but can’t cook. 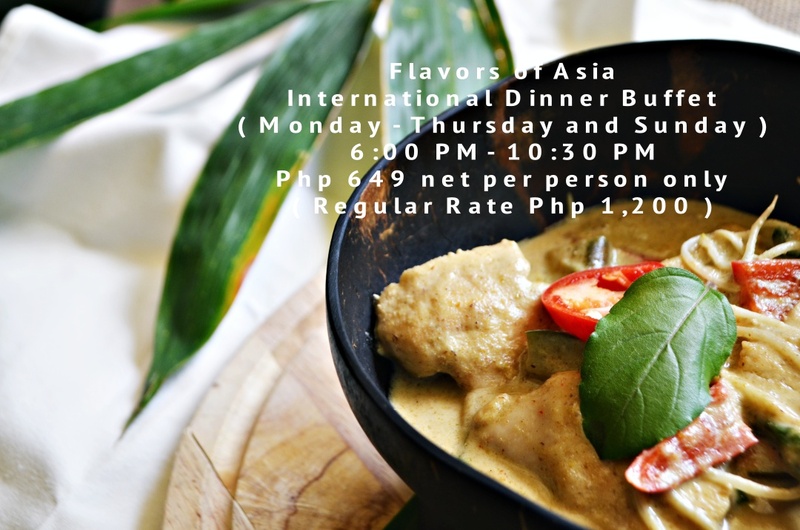 (wink) The buffet has a salad bar, assorted cold cuts, different stations for assorted cheese, Japanese food, pasta, noodle and stir-fry, fresh meat and seafood, bread, dessert and fruits, grill, main course and side dish, halo-halo and my favorite, the Thai - Curry station. 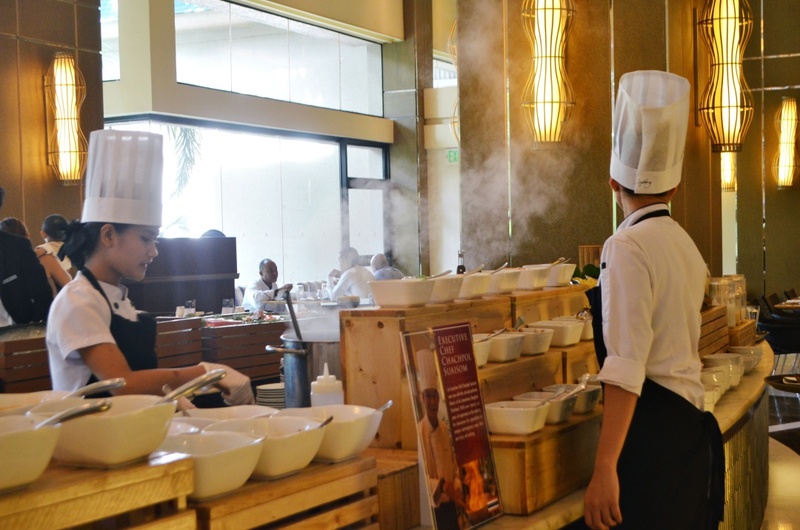 Cebu Marriott Hotel has the only Thai - Curry station in the city. Trust me, your lunch is going to be definitely an experience to remember. I personally had lunch in the Garden Cafe with Cebu Bloggers Lloyd, Mark and Lyssa. 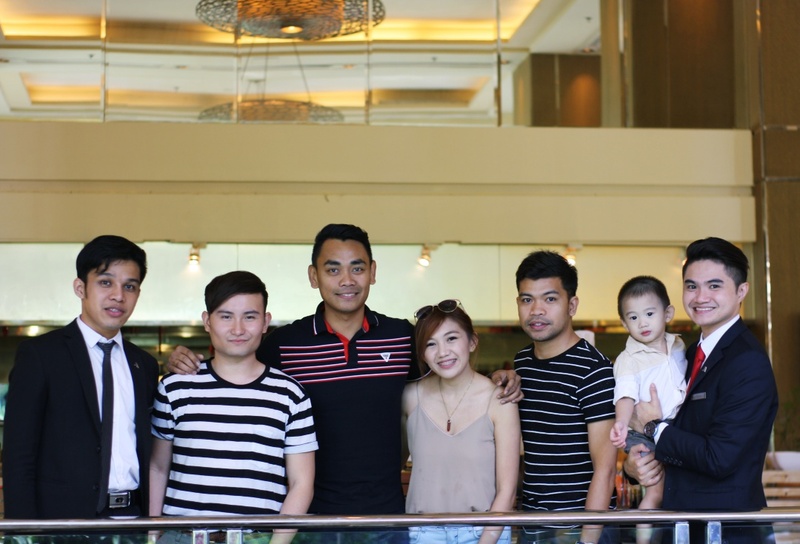 We were joined by Rey and Nico of Cebu Marriott Hotel. I can’t even remember how many rounds I did to all the food stations. I told you I have a huge appetite. Anyway, I really want you to experience an “all-you-can-eat” International Buffet right at the heart of the Metro that won’t break your piggybank. Since Cebu Marriott Hotel is very kind they are giving big discounts at the Garden Cafe until the end of March 2017. 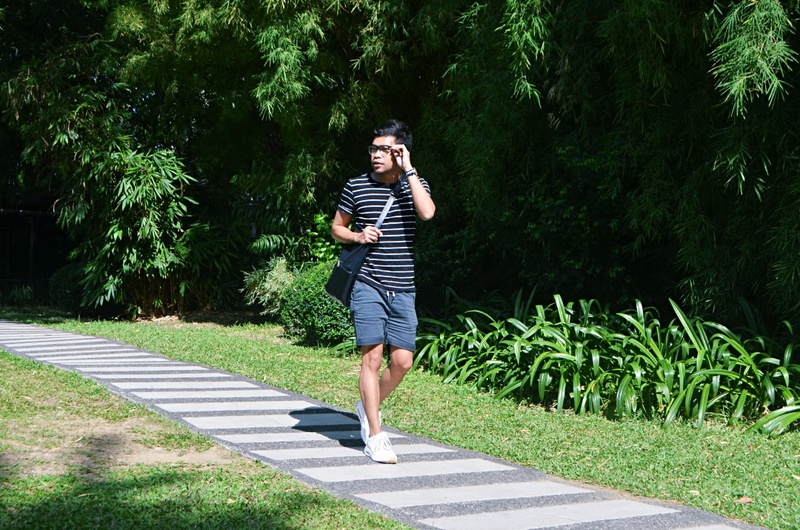 And you can avail a special rate just because you visited my blog. BUT WAIT! Due to insistent public demand and the support you have given to your favorite bloggers, Cebu City Marriott Hotel is extending the bloggers’ rate until June 30, 2017! From dates, families, colleagues, and food buddies - many have enjoyed these amazing rates and discounts already. And it would be a bummer not to extend it for another three months. SO WHAT ARE YOU WAITING FOR? All you have to do is to show them the “blogger rate” privilege for a special arrangement. You may also call (032) 411-5800 for assistance. But don’t worry because walk-ins are also welcome. Just show this blogpost to them where you found out about the special rate for verification before you ask for billing. Schedule and Rates are as follows. *Rates and discounts may be enjoyed by the entire group dining with the bloggers’ follower or reader. 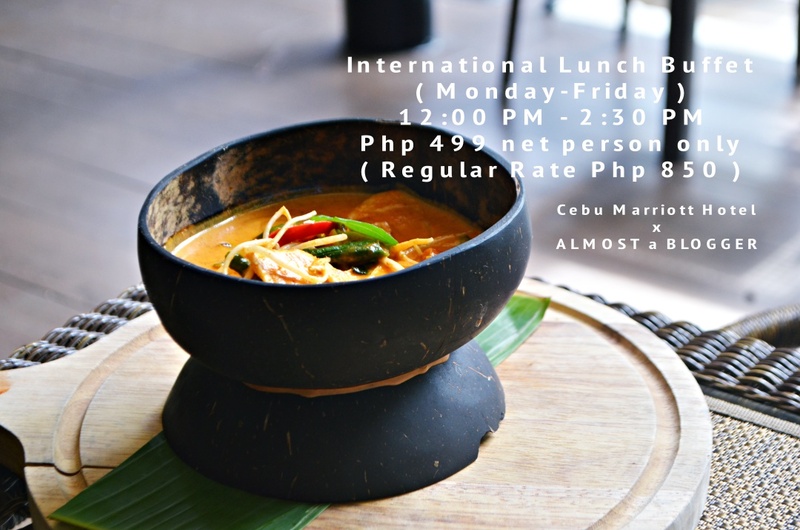 This discount cannot be used in conjunction to any other existing promos and discounts existing in any of Cebu City Marriott Hotel’s outlets. I certainly hope that by giving out these special rates I am able to give back the love and support that you have given my little blog. And hopefully we’ll be seeing each other at Cebu Marriott Hotel’s the Garden Cafe.